​in her rear garden in Dorset, UK. Caged was initially contacted during early September by an informant who had grave concerns of badly treated dogs at Eve Blanchard kennels. 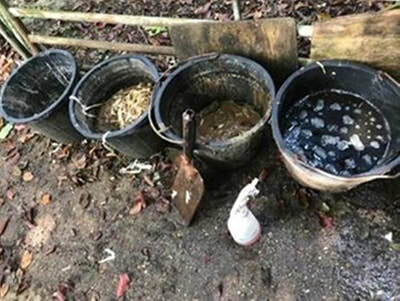 The informant had very restricted access to the kennels, and the kennels were situated on private land therefore we could not access them without permission from the owner. 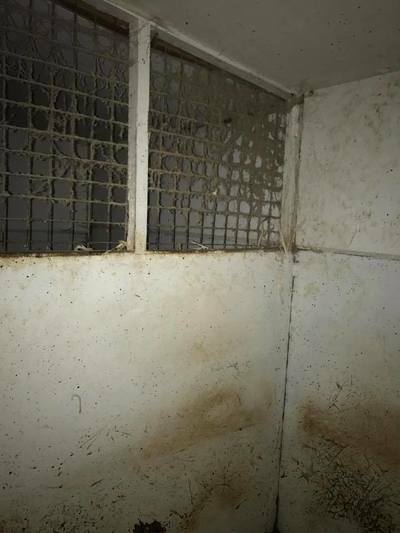 We asked for evidence to be gathered, including ear tattoo (ID) of the dogs, but we understood this could take time due to restricted access. 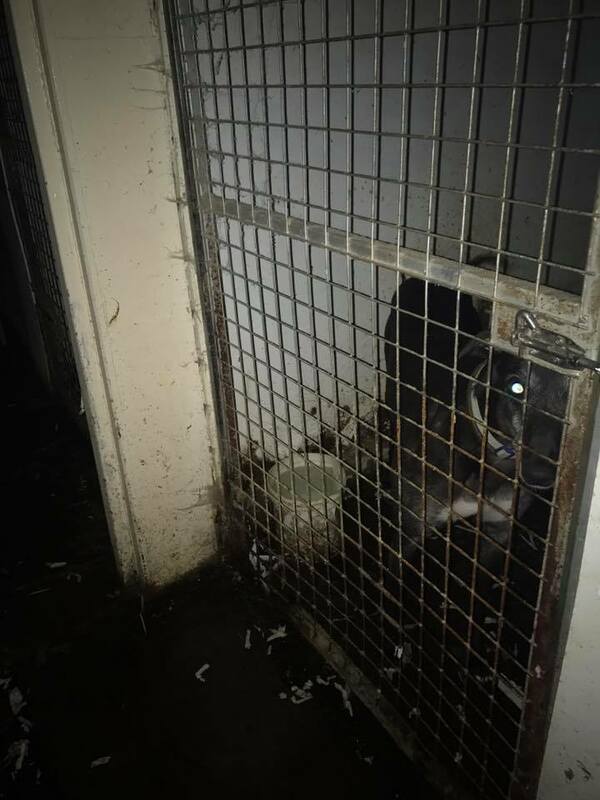 Meanwhile the RSPCA had been notified but had refused to act if the dogs had water, food and shelter of which we were told the dogs did have when the call was made. On the 27th September 2017, Caged received images and video footage of the conditions at Eve Blanchards kennels. We were told Eve had been approached about re homing the dogs but during the discussion had threatened to have them shot by the local huntsmen. After gathering as much information as possible about this case and the history of Eve Blanchards kennels, Caged contacted Eve on Friday 29th September. We had a long discussion with Mrs Blanchard and she invited to visit the kennels and view the conditions. We advised Eve that we were a greyhound protection group, and she seemed very comfortable speaking to us about her dogs, but told us that if the dogs were ever removed, she would replace them. 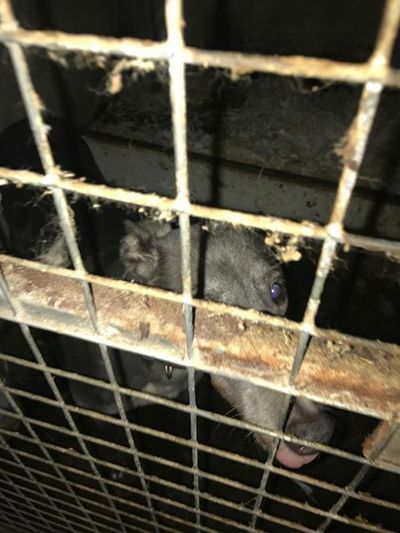 During the telephone conversation, Eve claimed the greyhounds were well taken care of and that she had a friend within the RSPCA who had previously visited her kennels and informed her that there were no issues with the conditions. We were not given any name of an RSPCA inspector or provided with any evidence of this. However we did view the 2009 article which mentions a previous RSPCA visit to the premises, when Eve was licensed to race greyhounds. 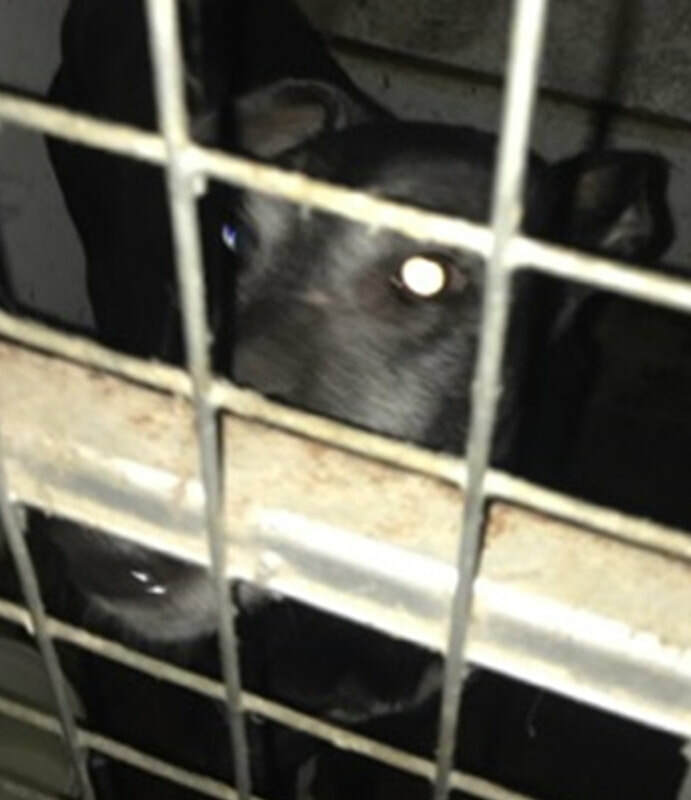 Kerry Elliman from Birmingham Greyhound Protection also spoke to Eve and offered rescue spaces for her dogs, but Eve declined. It was necessary for us to assess the conditions for ourselves before deciding what steps to take. 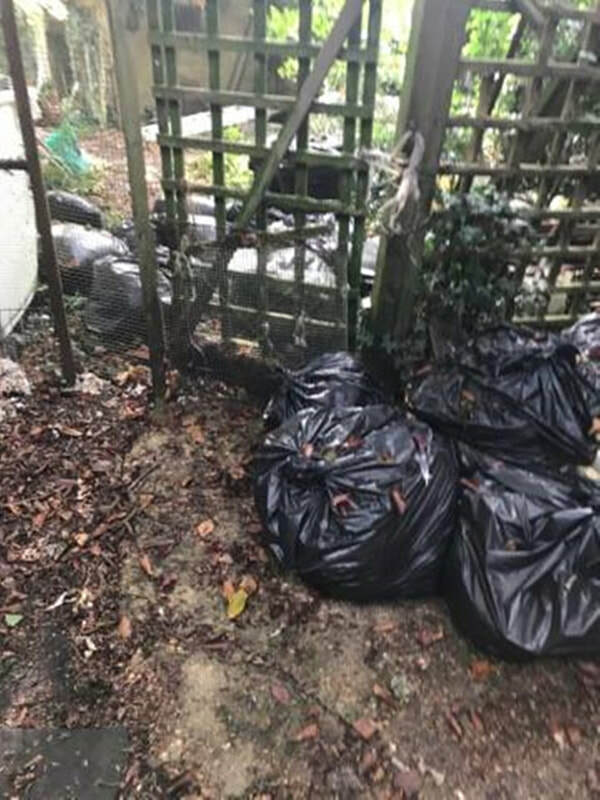 Ms Blanchard is elderly and her husband is unwell, therefore we decided to offer her help with re homing of the dogs via a reputable rescue. Birmingham Greyhound Protection have foster homes across the country and we asked them to get involved with this case, to help assist with any possible re homing of the dogs, if agreed by Eve Blanchard. On Sunday 1st of October 2017, representatives from Caged Nationwide and Birmingham Greyhound Protection traveled to Dorset, after making arrangements with Eve just 48 hrs earlier. 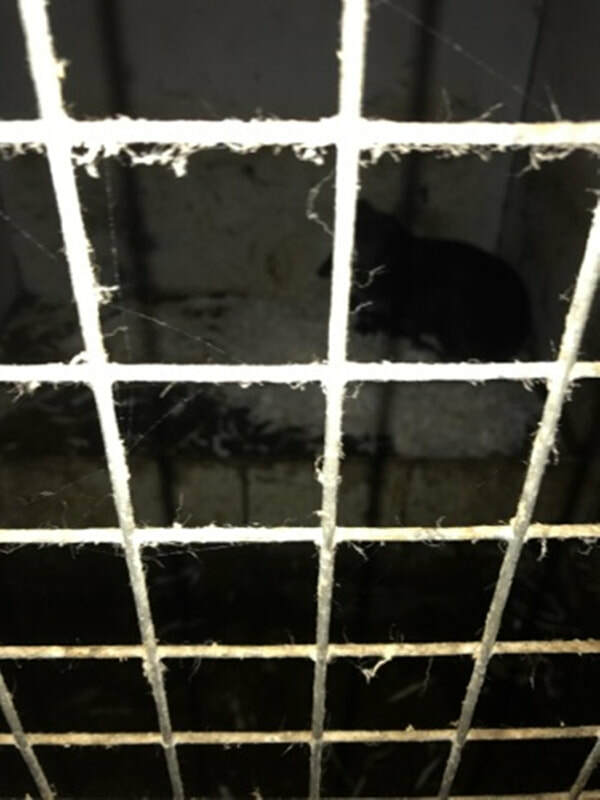 On entering the kennels, we witnessed the terrible misery of seven very distressed greyhounds. Some of the dogs were mentally shut down and others were begging for our attention. The dogs were given food while we visited, and there were blue bottles hovering around the food preparation area. 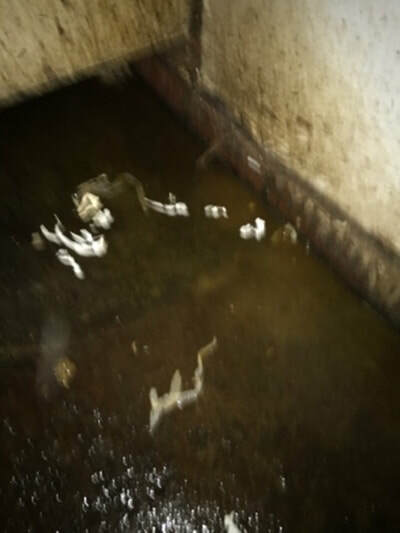 We could not see if any of the dogs were carrying old injuries as we were unable to get close to all of them, except one who had clear signs of gingivitis. We asked Eve if she would allow the dogs to go to foster homes via Birmingham Greyhound Protection. Eve told us that she would rather the dogs were killed than re homed to people she did not know! 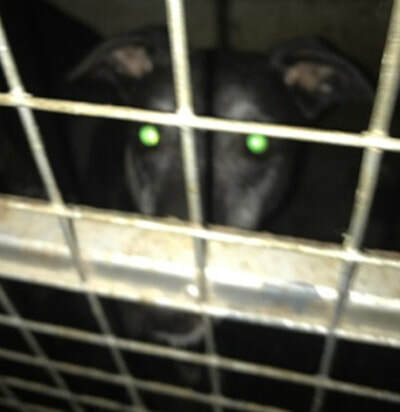 Kerry Elliman from Birmingham Greyhound Protection assured Eve, that the dogs would go to loving homes and photographs could be sent to her as often as she wished, to verify that they were happy and safe. Eve persisted to refuse the dogs caring homes, and during conversation kept referring back to her Trophy's which she had won during the dogs racing years. We decided to make her an offer, as she spoke in respect of her former racing manager. 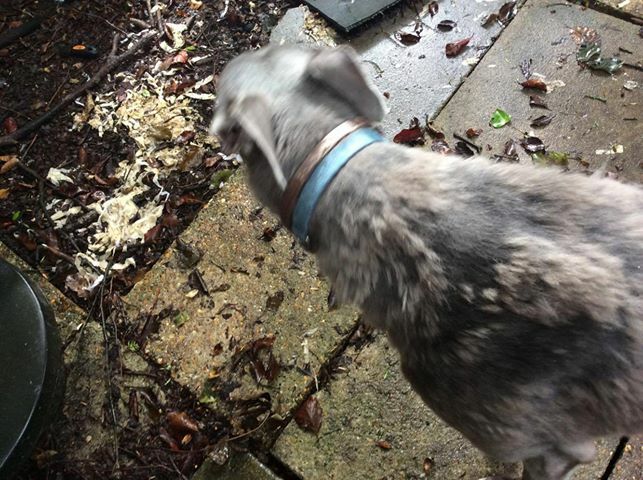 We asked Eve, if she would allow the dogs to go to rescue if Poole track manager contacted her on our behalf and verified that Kerry Elliman at Birmingham Greyhound Protection had a good reputation for re homing greyhounds. 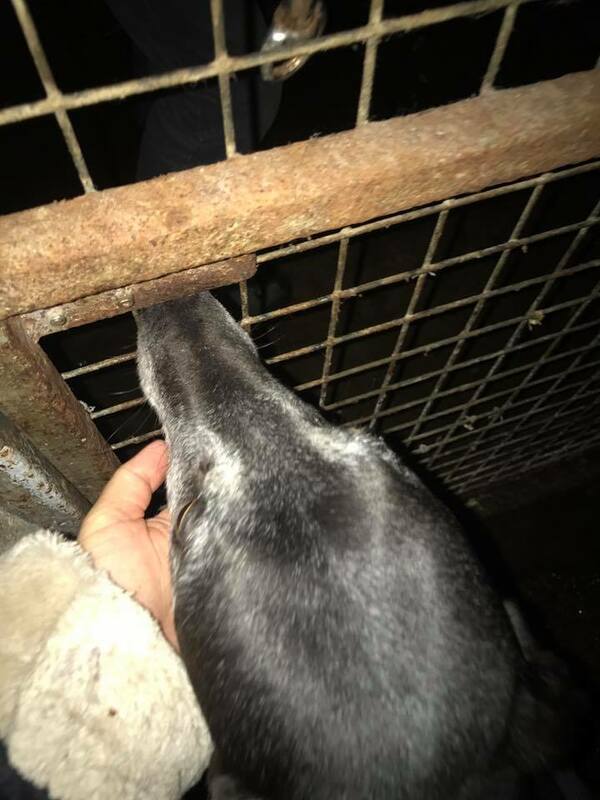 We felt we may have reached mutual ground and we left the premises, sadly leaving the greyhounds behind, but with intention to immediately contact the track and ask for their assistance to help relieve the dogs from the awful suffering. 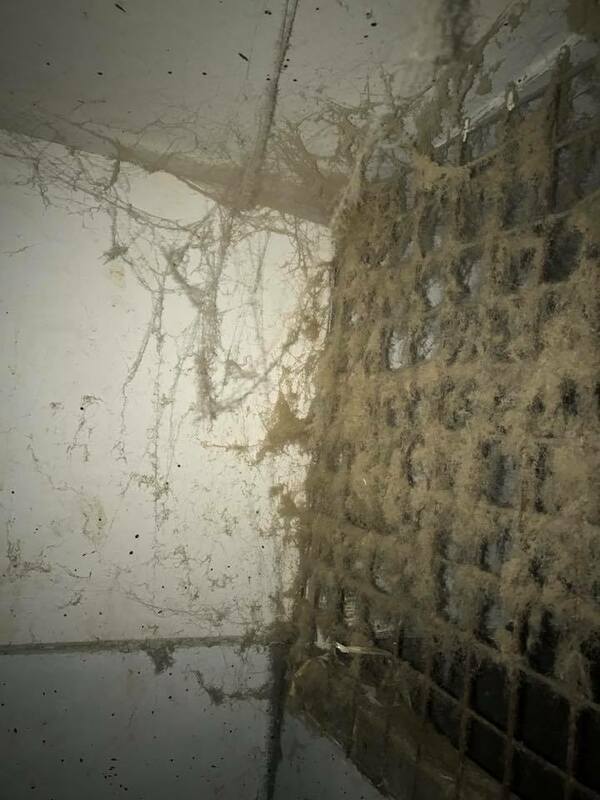 Caged and BGP made numerous urgent calls to Poole Stadium. Caged requested to speak with the racing office on 3 occasions but was told on 2 occasions that it was closed, and on the third occasion while it was open, was refused any communication with the staff in that department. 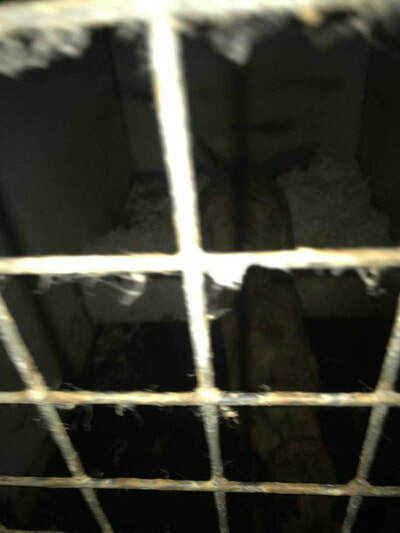 On one instance Rita James from Caged spoke to a member of staff and explained the call was a matter of 'urgent' animal welfare concerns. The member of staff abruptly replied, "Tonight is just about the customers and nothing else!!" On asking the member of staff his name, she was told she was speaking to a Mr John Hughes. The following day Ms James called the stadium, again with no offer of help, and was told by a receptionist that John Hughes did not exist as a member of their staff. 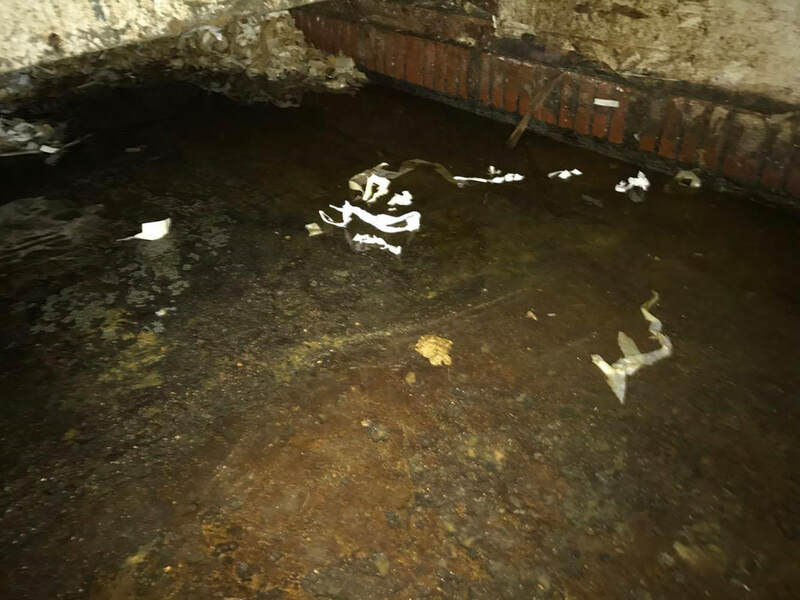 Kerry Elliman made several calls to Poole Stadium, and eventually spoke to the General Manager who told her that they wanted no involvement in the Eve Blanchard case. The Greyhound Board of Great Britain also told us that they wanted nothing to do with the situation. 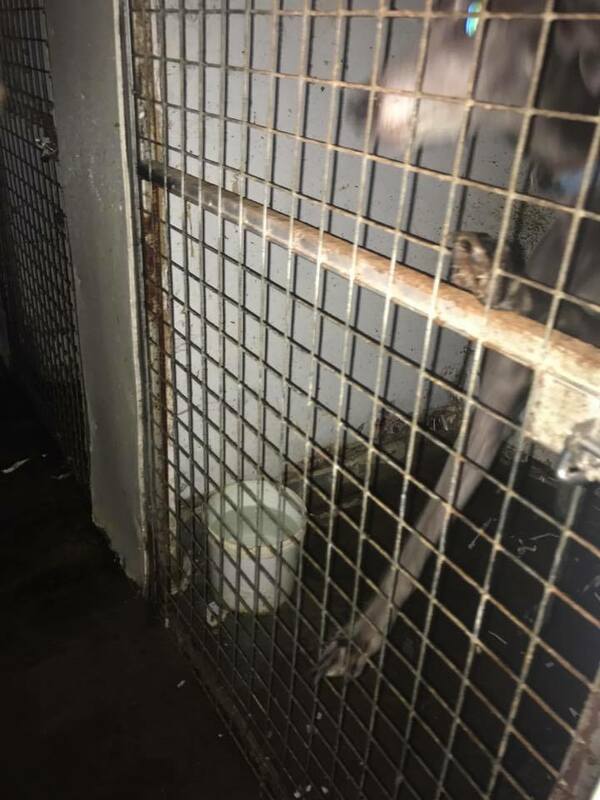 Sadly, these greyhounds were originally bred and used for racing and were mistreated as seen in the photographs, with no intervention from an industry that once used them for profit. 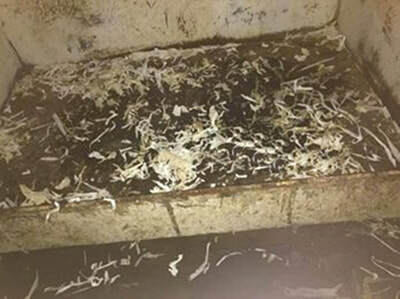 Not all greyhounds end their racing days to get home comforts, in fact many end up in the same very sad situation as these greyhounds, either kept as trophy dogs in disgusting conditions in greyhound trainer kennels, or dumped in sheds on allotments. 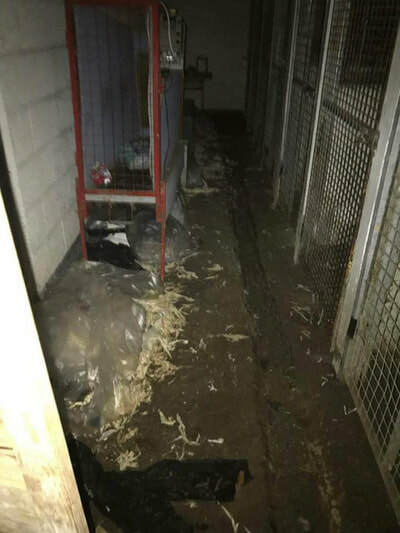 On 04.10.17 Eve notified us that the dogs had been destroyed, not even 3 full days after we visited them. 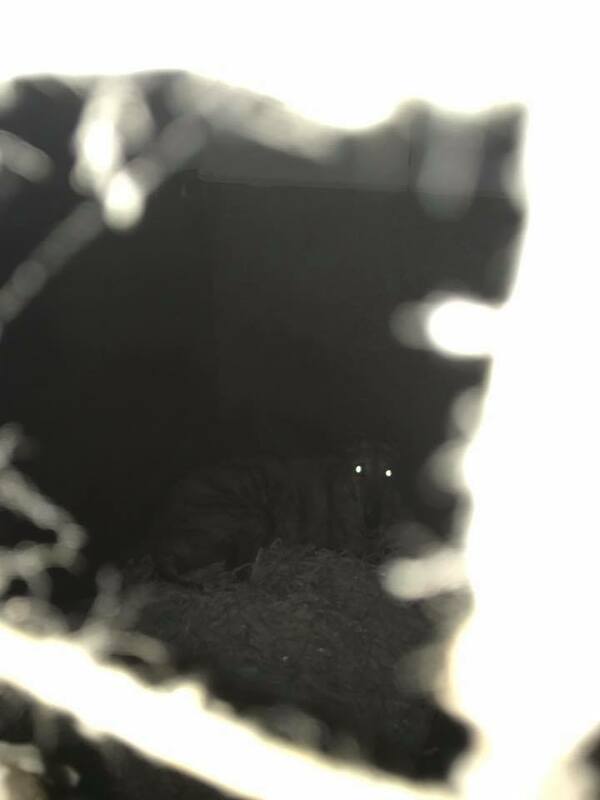 A witness who we believe to be involved in a local hunt group, told us that he had given a telephone number to Eve for the local huntsman, so that the dogs could be shot. We do not know what method was used to kill the dogs or where their remains are. 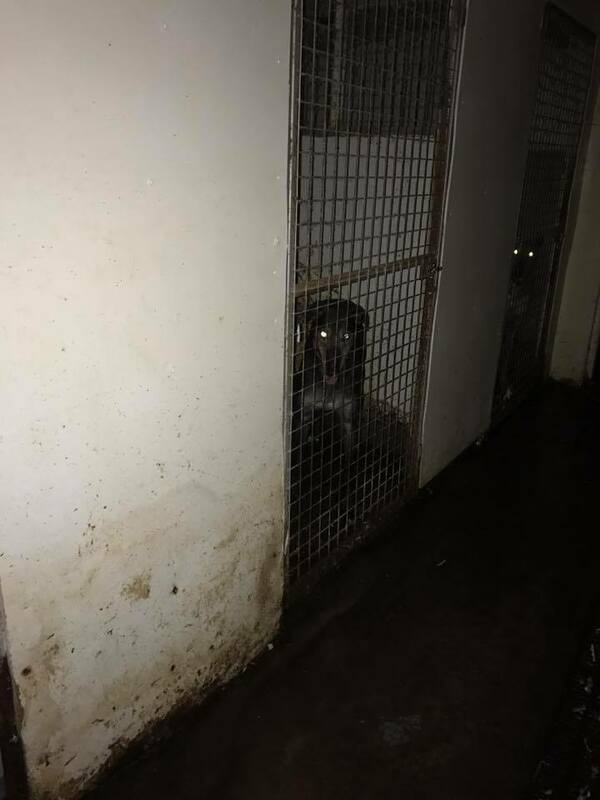 Sadly like tens of thousands of greyhounds the bodies of these dogs will likely never be discovered. 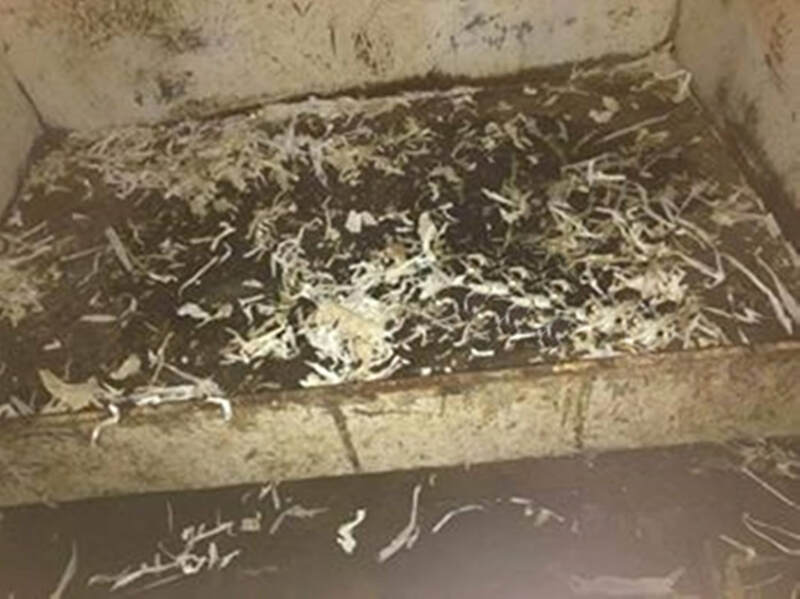 The cries of these dogs will haunt us, and the following thoughts will stay with us forever. Were these dogs killed by a local hunt? 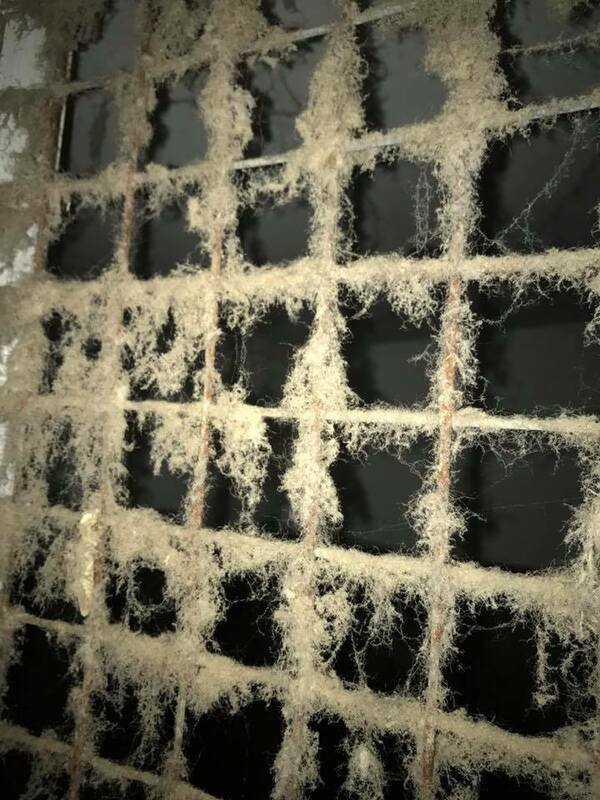 Were their remains fed to the hounds? Were they killed by the captive bolt gun? Did they suffer horrifically in their final moments? We shall never know as former Poole greyhound trainer Eve Blanchard would not discuss the killings with us. ​An informant has advised us that the kennels are now empty but we are concerned that Eve may replace the dogs with others, as she told us that she is good friends with a greyhound trainer from Poole Stadium. Due to the history of Eve Blanchard and the information we have been provided with, we believe there could be many greyhound corpses buried under the grounds of these premises, but we are not aware of any authority having a duty to dig these gardens up, exhume the cadavers, and examine them to identify how they died. We are aware of other cases involving different breeds of dogs, where investigations have led to bodies being exhumed, but in the case of greyhounds, we believe they are very much treated second class compared to most other breeds of dog, and aren't afforded the same amount of care due to their use for the gambling industry to make a profit. 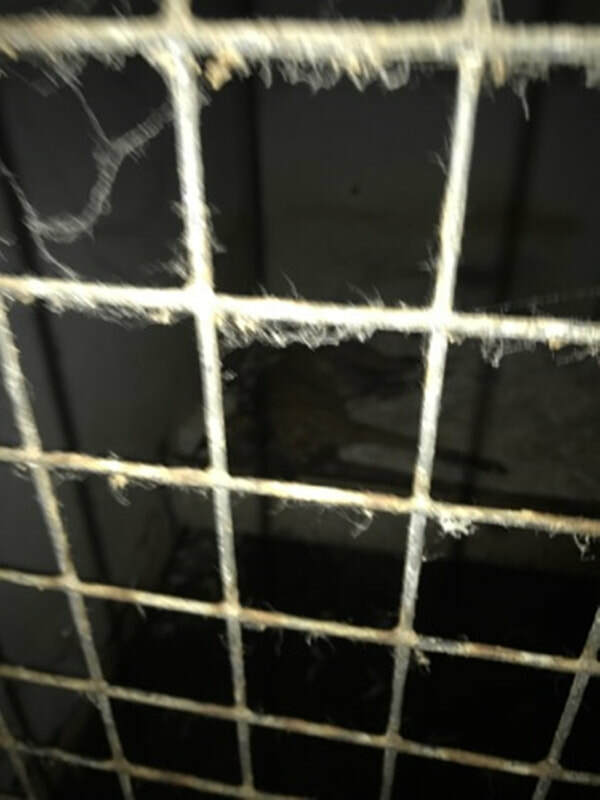 Once again, we bring an exposure that provides evidence that these gentle and loyal loving dogs are used and abused by the greyhound racing industry. 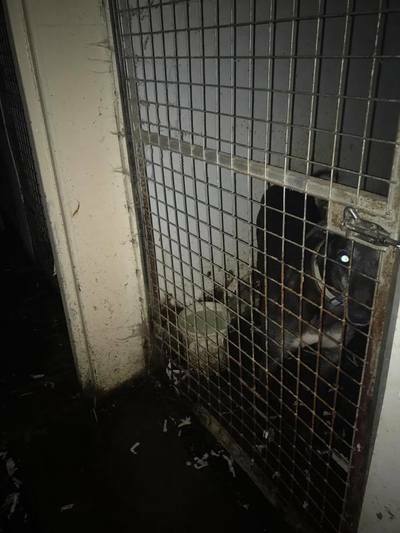 Caged have since given a full statement to Dorset police and the RSPCA. We were not satisfied with the response and we believe this case was not appropriately investigated. The key witness was not interviewed by the police as they did not feel it was relevant. We are in the process of issuing a formal complaint to Dorset Police.